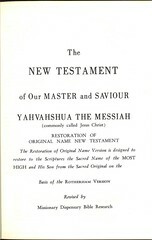 This version is based on the Emphasized Bible by Joseph Bryant Rotherham. 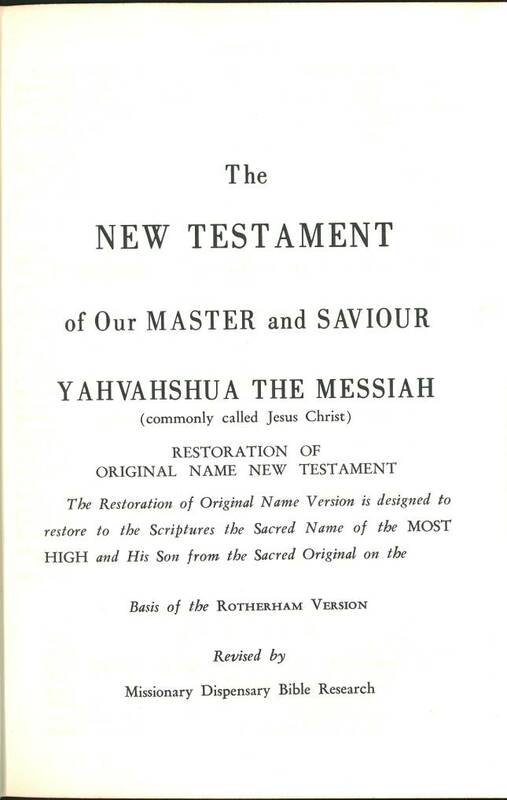 A comparison of the samples verses (Rotherham and Restoration of Original Sacred Name) will show how very closely this version follows Rotherham. 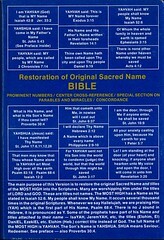 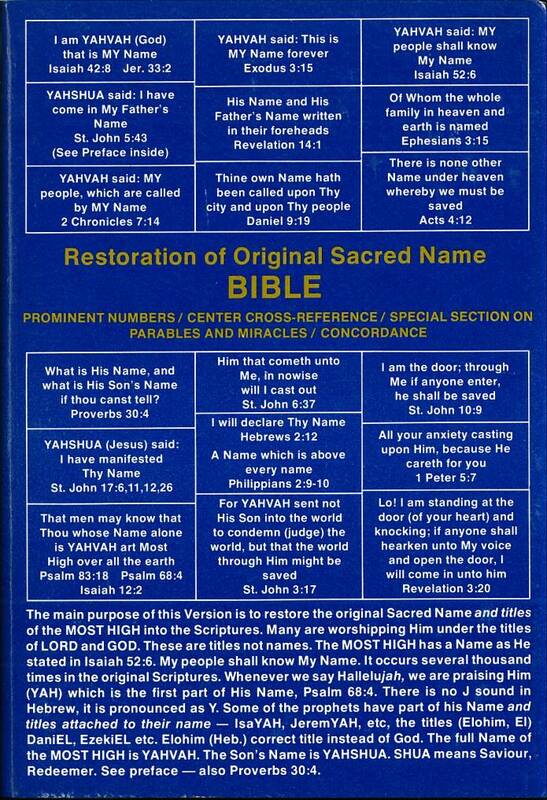 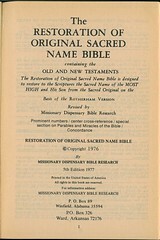 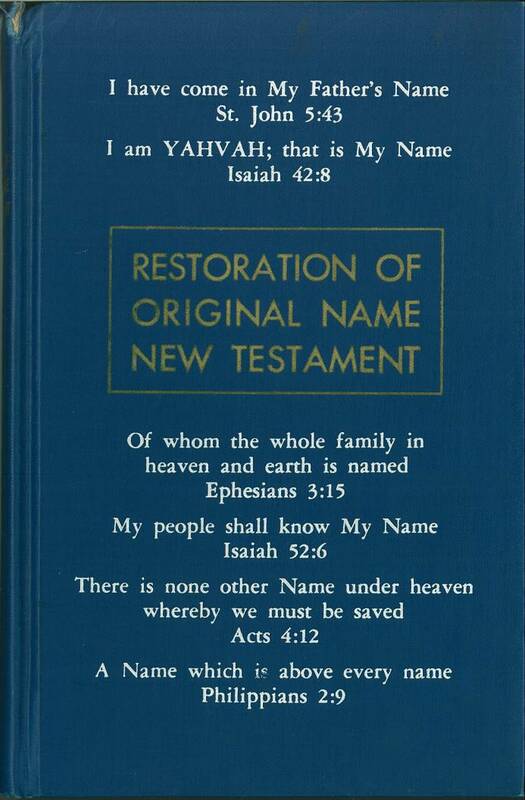 Click here for sample verses from the Restoration of the Original Sacred Name Version. 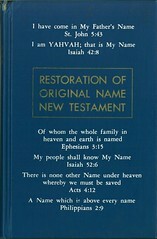 References: Chamberlin 49-1, 589-4, Taliaferro-BVE CN00175, Taliaferro-EELBV 8085.100. 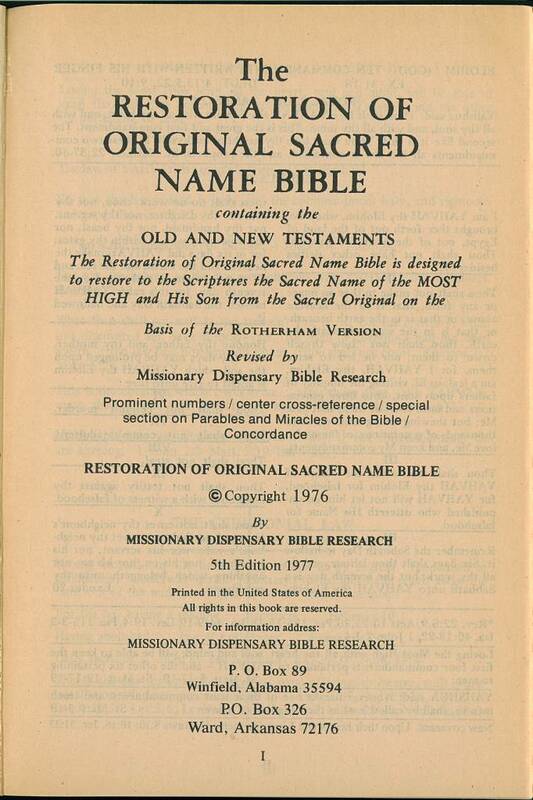 References: Chamberlin 49-1, Taliaferro-BVE CN00175, Taliaferro-EELBV 8085.110.